The Cassimir and Normania are two of our favorite shipwrecks to dive. Both sit in about 115ft of water, roughly 38 miles offshore. Both wrecks are normally bathed in blue water, with plenty of amazing photo opportunities. 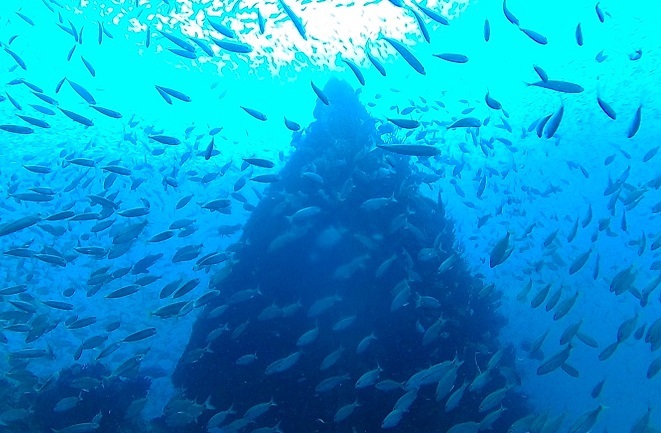 These wrecks are considered an advanced dive because of the depth and currents. There are normally large spiny lobsters hiding in every crevice of the wreck, and also plenty of huge grouper and hogfish. African Pompano are also abundant in the water column. The Normannia is a 312 ft. long freighter that was over taken by rough seas in 1924. Now the wreck sits upright on the bottom. The outline of the wreck is clearly visible with it structure collapsing in on itself. The boilers, engine room, bow and stern remain somewhat intact and comprise the major structure of the wreck. The Cassimir sits in two pieces on the bottom. The bow lies a short distance from the remainder of the wreckage and sits at a 45 degree angle. The Majority of the wreck is comprised of the midship and the stern. Much of the hull is broken up but there is plenty of relief to explore.